Xiyong Area of CFTZ become a pioneer of Chongqing’s opening-up in inland China through optimizing and upgrading the opening-up elements. 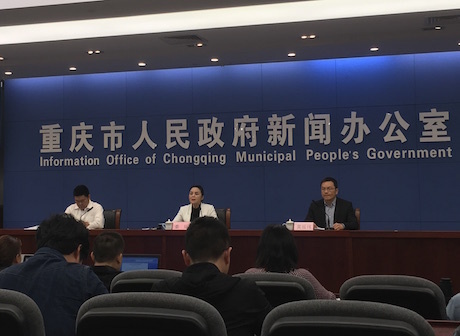 Chongqing's regional GDP reached RMB 510.23 billion (about USD 76.12 billion) in the first quarter of 2019, with an increase rate of 6.0% year on year, according to the Chongqing Municipal Bureau of Statistics, April 19, 2019. As a bridge connecting “Belt” and “Road”, ILSTC is expanding its coverage to international regions. Yubei District lies in the north of the main urban area of Chongqing. 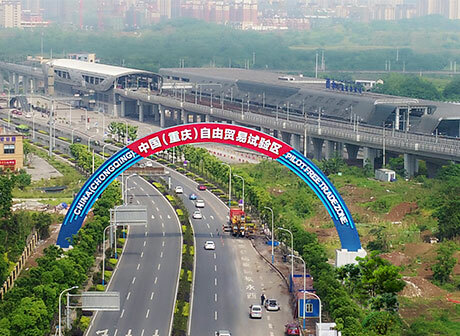 It’s where Chongqing Liangjiang New Area is located, which introduces China (Chongqing) Pilot Free Trade Zone, China-Singapore (Chongqing) Demonstration Initiatives on Strategic Connectivity, the bonded port area, Chongqing–Xinjiang–Europe international railway, etc. It is the base for the largest automobile manufacturing in Chongqing, the key intelligent terminal production as well as import and export. It is a district that has the biggest economic volume in Chongqing, the most developed platform and the strongest location advantage. Youyang Tujia and Miao Autonomous County is located in the meeting point of Chongqing, Hubei Province, Hunan Province and Guizhou Province. There are 17 ethnic minority groups in the county. It is rich in tourism resources such as Wujiang Hundred-miles Gallery, the National 5A class tourism spot Youyang Taohuayuan Scenic Area, and Chongqing Jinyin Mountain National Forest Park. The County is the hometown of Tujia hand dance in China. Fengjie County is located in the east of Chongqing. Fengjie produces a variety of local specialties such as citrus, and thus is called “The Orange Capital of China”. Located in the Three Gorges Tourism “Golden Triangle” with beautiful natural and cultural landscape, it is a famous tourist destination both at home and abroad. Qutang Gorge is 8 km long and runs from Baidi Town of Fengjie county to Daxi Town of Wushan County. Near the county is Kuimen, which is the shortest, the narrowest and the most magnificent part in the three Gorges of the Yangtze River. Wuxi County is located in the northeast of Chongqing. It stands at the meeting point of Chongqing, Shanxi Province and Hubei Province and is influenced by Qin, Ba and Chu cultures of ancient times. Sitting at the southern slopes of the central Daba Mountains, it exemplifies mountain region agriculture. Hongchiba National Forest Park is within the county, which is the largest mountain meadow in southern China. Pengshui Miao and Tujia Autonomous County is located in the southeast of Chongqing, on the lower reaches of the Wujiang River. The county has 11 ethnic minority groups including Miao and Tujia. It is the only county with Miao majority in Chongqing and is the hometown of Chinese folk culture and silver ornaments made by ethnic minority groups. The county is rich in minerals and fishery resources. Yunyang County is located in the northeast of Chongqing, alongside the Yangtze River - it’s an important pivot point in the Yangtze River Economic Belt. The national 5A class tourist attraction Yunyang Dragon Jar National Geopark and the Zhangfei Temple are in the county. It is rich in agricultural products such as Chinese wood oil, sericulture, tea, citrus, and an abundant Chinese Herbs. Wanzhou District is a district on the middle and upper reaches of the Yangtze River, bordering Sichuan Province to the northwest and Hubei Province to the southeast. It has a strong economy and is the biggest district in Chongqing. It has one of the top 10 ports on the Yangtze River. A variety of cultures including Ba and Chu Culture, commercial port culture and poetry culture co-exist here. Wushan County is located in the east of Chongqing, known as the “Gateway to Northeast Chongqing”. The Daxi Cultural Relics with 5000 years history in the county dates back to Neolithic times. It has abundant tourist resources with the Three Gorges traversing the county, and boasts rich industrial mineral deposits and high-quality agricultural sideline products. Fuling District is a district in the geographical center of Chongqing, being at the confluence of the Yangtze and Wu Rivers. It belongs to the Yangtze River Economic Zone. Fuling’s zhacai, a spicy pickled mustard tuber, is its signature dish. Fuling was once the capital city of the State of Ba in the Spring and Autumn Period (approximately 771–476 BC). Fengdu County is located in the geographic center of Chongqing. The Fengdu Ghost Town is a tourist attraction built in the concept of Chinese mythology and Buddhism, which was built over 1800 years ago. The Snow Jade Cave here is a wondrous labyrinth of stalactites and underground streams which attracts a large number of tourists all year round. Shizhu Tujia Autonomous County is located in the east of Chongqing, on the south bank of the Yangtze River. The county, known as “Home to Huanglian”, exports the precious Chinese herb Huanglian to Southeast Asia. It has famous scenic spots such as the millennial ancient temple “Ginkgo Hall” and the summer resort Huangshui National Forest Park. Xiushan Tujia and Miao Autonomous County is the southeast gateway of Chongqing and is an important tourist and material distribution center in Wuling Mountain area. 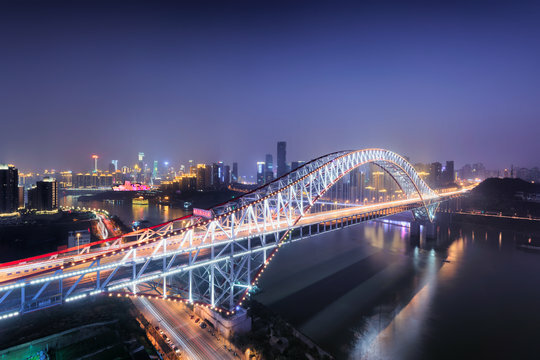 It bridges the east and south of Chongqing and is the pivot point of the New Silk Road; an important section connecting Zhu River Delta, Yangtze River Delta and Chongqing-Chengdu Economic Circle. Xiushan Lantern Performance is in a form of folk songs and dances which is very popular in the county. Qianjiang District is located at the border of Chongqing, Hubei Province, Hunan Province and Guizhou Province. It’s nicknamed “the throat of Chongqing and Hubei Province”. The 74.5% of the population are Miao and Tujia people (ethnic minority groups). It has a very advanced transportation infrastructure including railway, highway, water and air transportation. It boasts rich natural resources such as ore and a variety of unique agricultural products. All of these make it a wonderful place to visit. Zhong County is located in the middle of Chongqing. It is one of the main areas where the Ba culture 0f 3000 years originated. Relying on the Three Gorges International Golden Tourism Belt, it has become an international tourist resort. It is called "Chinese Citrus city" because of the rich production of citrus. Liangping District is located in the northeast of Chongqing - it has accelerated the construction of characteristic industrial clusters of ecological plastics, integrated circuits, intelligent manufacturing and green food processing. Its food brands such as Liangping Pomelo and Zhang Duck are very popular. Dianjiang County is located in the northeast of Chongqing. It is titled to "Millennium Ancient County", which is recognized by the United Nations Group of Experts on Geographical Names (UNGEGN). It is the hometown of calligraphy, painting and bronze tube music. There are the world’s largest ancient castle Heyouping, Eastern Han Dynasty (206 BC–220 AD) rock tombs, rock carvings and other cultural relics. It is a county with modern agriculture, high-quality fruit and grains on the middle and upper reaches of the Yangtze River. Tongnan District is located in the northwest of Chongqing. 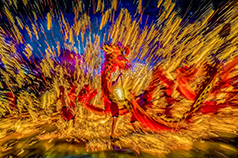 It is an important pivot point of the Chengdu-Chongqing economic belt and is the hometown of Chinese folk culture and art (Tai’an fish, lion dance). It boasts rich tourist resources such as the Shuangjiang Ancient Town, the longest man-made canal in the southwest, and the well-preserved ancient houses of Qing Dynasty (1644–1912). Yongchuan District is located in the west of Chongqing. Both the Chengdu-Chongqing freeway and railway have stops in the district, making it easy to go to other cities. It’s the center of transportation, commerce, culture, finance and energy for the west of Chongqing and the southeast of Sichuan. There are many pleasant tourist attractions such as the Tea Mountain and Bamboo Forest, the largest theme park “Le He Le Du” in the central and western part of Chongqing and Chongqing Safari Park. Dazu District is located in the west of Chongqing. 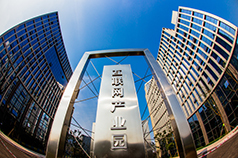 It is in the heart of Chengdu-Chongqing Economic Zone, which is an important pivot point for the development of Chengdu-Chongqing Economic Zone. It is where the famous Dazu Rock Carvings, a UNESCO World Heritage Site, is located. Changshou District is located in the central part of Chongqing; The beautiful Changshou Lake lies in the district. The breathtaking views all around make it a pleasant tourist resort. 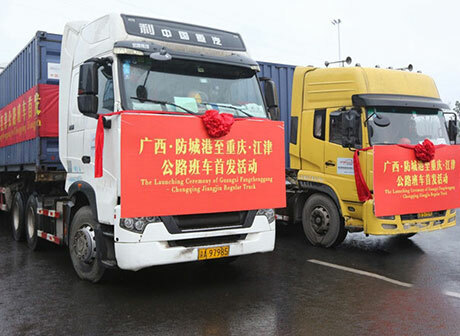 It is the land transportation hub and an important port on the upper reaches of the Yangtze River, where the 10.000-ton fleet can reach the district by water all year round. It is the key development area for industries, the modern agricultural base and the regional logistics center. Rongchang District is in the west of Chongqing. It is in the strategic hinterland of Chengdu -Chongqing Economic Zone. It is known for charming folk handicrafts such as Rongchang grass cloth, Rongchang pottery and Rongchang fold fan. Rongchang Pig is an internationally recognized precious pig species resource. Kaizhou District is located in the northeast of Chongqing. It is home to Liu Bocheng who is one of the 10 Grand Marshals of China and also the birthplace of many poets in Tang Dynasty (618–907). There are rich natural resources such as coal mine gas and natural gas. Chengkou County，on the northeast edge of Chongqing, is located at the meeting point of Sichuan Province, Shanxi Province and Chongqing. Influenced by Bashu, Sanqin and Chu-Tian cultures of ancient times, it is the cradle for folk songs and stories, flower-drums, lion dance, stick dance, boat dance, etc. Nanchuan District is located in the south of Chongqing. It is becoming a regional comprehensive transportation hub in the south of Chongqing and the north of Guizhou Province. It is one hour’s drive away from the CBD, Chongqing Jiangbei International Airport, the deep water port of the Yangtze River, the bonded port and the railway hub port in Chongqing. It has lush environment. Jinfo Mountain within the district is a World Heritage Site, which attracts a large number of tourists. Wansheng District is located in the south of Chongqing. There are 21 ethnic minority groups in the district including Miao and Tujia. The national 4A class tourist spots, Wansheng Stone Forest and Black Valley, are located here, which attract a large number of tourists all year round. It is also a land that boasts rich minerals resources. Qijiang District is located in the south of Chongqing. It is the home to Chinese farmers’ printmaking. It is a district with rich tourism resources including Black Mountain Valley and Longlin Stone Forest. It boasts abundant natural resources such as minerals and natural gas. Ba`nan District is located in the south of the main urban area of Chongqing - it is where the ancient State of Ba and its 3000-year culture originated. Surrounded by mountains and rivers, it has high forest coverage and rich hot spring resources. With the national strategic platform, the industrial parks and the modern specialty agriculture, it has gained strong momentum in development. Jiangjin District is located in the southwest of Chongqing alongside the Yangtze River. The traffic here is well developed. It’s an important shipping hub and material distribution center on the upper reaches of the Yangtze River and a modern agricultural demonstration area district with strong traditional industries. The national 5A class tourist spot, Simian Mountain, is located within the district. Hechuan District is located in the northwest of Chongqing at the meeting point of the Jialing, Qu and Fu Rivers. It is known by the world because of the famous Fishing City (Diaoyu Fortress) War which changed the battlefield strategy for the rest of Eurasia during the Mongol invasions. It’s the first stop of Chongqing–Xinjiang–Europe International Railway entering into Chongqing, the important pivot point of the Silk Road Economic Belt and the 21st Century Maritime Silk Road. Bishan District is located in the western suburbs next to Chongqing main urban area. It is close to Chongqing University City and Xiyong Micro-Electronics Industry Park. It is the district undergoing Chongqing’s industrialization and urbanization. 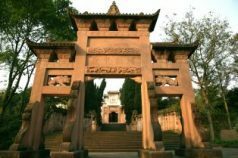 It has a variety of tourist attractions such as Qinglonghu National Forest Park and Xiuhu Park with ancient style Chinese architecture. Tongliang District is located in the northwest of Chongqing. It is the central area of the core economic belt on the upper reaches of the Yangtze River. It has convenient transportation: 30km away from Xiyong Comprehensive Free Trade Zone, 60km away from the Cuntan container terminal of the Yangtze River and 65 km from Chongqing Jiangbei International Airport. It is nicknamed “Dragon Lantern Hometown” and the Dragon Dance enjoys popularity both at home and abroad. Beibei District, one of the main urban districts, is located in the northwest of Chongqing. At the foot of the Jinyun Mountain, alongside the Jialing River, it enjoys high forest coverage and rich hot spring resources. Strong cultural, scientific and educational foundation here makes it a key area for high-tech and emerging industries. Jiangbei District, one of the main urban districts, is located on the north bank of the Yangtze and Jialing Rivers, with a riverside line of 103km. It is the information, financial, cultural and artistic center of Chongqing. Most foreign consulates are located here. It is an integrated transportation hub, a mature commercial and trade center, and a modern manufacturing base of intensive development in Chongqing. Yuzhong District，one of the main urban districts, is on the upper reaches of Yangtze River. It is the oldest and most relevant part of this city, where the old Bayu Culture lives on today. Surrounded on three sides by water, Yuzhong is effectively a peninsula. Due to its hilly nature, and the fact that it is the main central business district for Chongqing, Yuzhong contains some of the tallest skyscrapers in China and is the most densely populated district in Chongqing. Nan`an District, one of the main urban districts, is located on the south bank of the Yangtze River. Leaning on the Nanshan Mountain, with an overview of the Yangtze River, it gets breathtaking sceneries. Nanbin Road alongside the Yangtze River offers a variety of leisure activities such as sightseeing, catering and shopping. Chongqing Technological Economic Development Area (south bank), CBD Development Area (south bank) and Chongqing International Convention and Exhibition Center are located in the district. Shapingba District is located in the west of the main urban area of Chongqing. The popular tourist attraction, Ciqikou Ancient Town, is located here. Influenced by Bayu Culture of ancient times, and Shaci and Hongyan Alliance Cultures during World War II, it is the educational, scientific and cultural center of Chongqing, with University Town lying in the west of the district. Jiulongpo District is located in the southwest of the main urban area of Chongqing. It is an important part of the Yuzhong Peninsula surrounded by the Yangtze and Jialing Rivers. 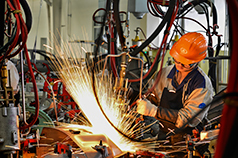 Its economy is well developed with vigorous development in commerce and trade, industries as well as logistics. Dadukou District, one of the main urban districts, is in the southwest of Chongqing, It lies between the Zhongliang and Tongluo Mountains and is surrounded by the Yangtze and Jialing Rivers. It’s an emerging district where new industries are developing quite fast as well as a pleasant district with a high-quality life. On the afternoon of January 24, 2019, the Chongqing Major, which has attracted the attention of global e-sports fans, has determined the teams in the offline competition. Through the online elimination tournament from January 19 to 23, Virtus.pro, Team Secret, EHOME, PSG.LGD, Vici Gaming, Evil Geniuses, Fnatic, Team Liquid are the first eight teams. From January 25th to 27th, they will compete for competing for USD 1,000,000 and valuable DPC points for The International 2019 at downtown Chongqing, China. The main event takes place in the Huaxi Live Banan International Cultural and Sports Center. Moreover, it adopts a double defeat elimination system. In other words,the team that lost a game will fall into the loser group, carry out the life and death battle on the cliff side: once lost, it will be out, only the championship team of the losers’ group has the chance to challenge the counterpart standing out from the winners’ group in the final. The three Chinese teams of LGD, VG, and EHOME have suffered losses. In the current loser group: VG will face EG, the traditional American strong team and Ti5 world champion on the 25th; LGD and EHOME will not play until January 26, LGD will face the winner, Fnatic or Liquid competition, on January 25. EHOME is waiting for the winner of the VG and EG competition. Chongqing Major, starting on Friday, represents the international electric competition event with the strongest teams and the largest scale of its kind in Chongqing so far. Almost all the first-line teams of DOTA2 in the world come to Chongqing to present their skills, and they are eye-catching.